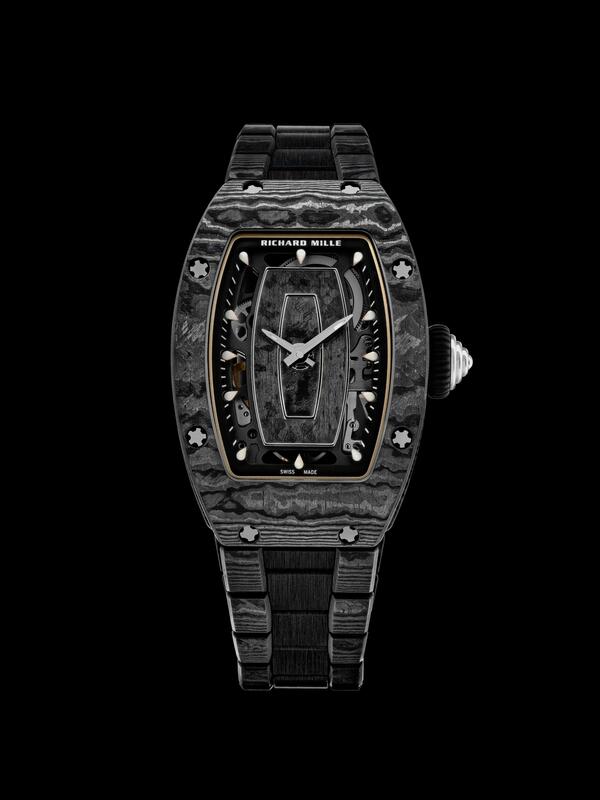 Richard Mille upgrades the Richard Mille RM 07-01 Ladies’ in Carbon TPT® with a bracelet manufactured in the same material: 13 months of development, 200 components, 29 grams in weight. Please check the press release below. 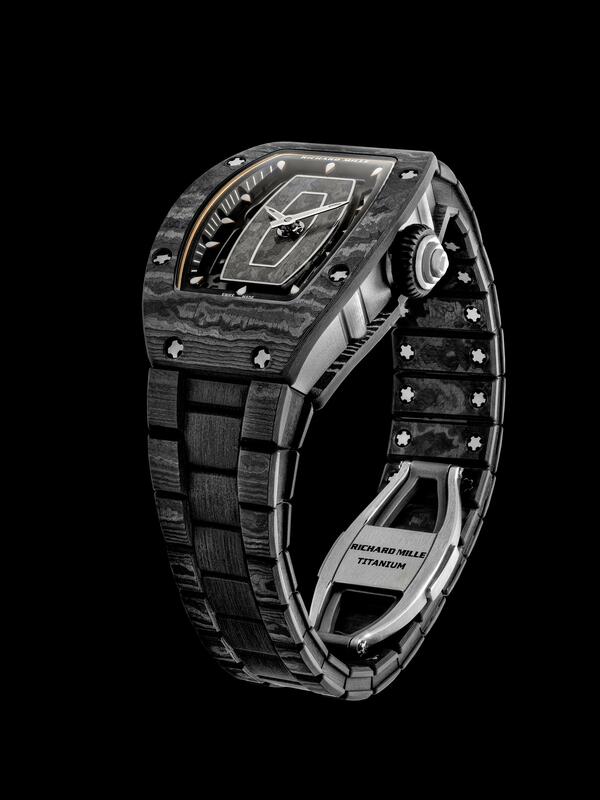 Considered to be a fundamental element by Richard Mille, a watch strap or bracelet deserves our undivided attention. Each one stands out for its aesthetics, which harmoniously continue the lines of the case, while providing resistance and comfort in all circumstances. Exclusively premiered on the RM 07-01 Ladies’ in Carbon TPT®, the new bracelet – made from this same material – encapsulates this ambition. Richard Mille has always aimed to expand its wide collection of straps and bracelets to give all those who wear its creations multiple options for personalising their timepieces. This has already led the development studio to design a number of variations, including the creation of two gold bracelets, a metal curb chain and an open link, which can be enhanced with precious stones. Currently only available to female customers, the Carbon TPT® bracelet is the fruit of 13 months of development, and resolutely asserts its elegant and sporty style. Entirely dressed in Carbon TPT® and titanium from the bezel to the folding clasp, the RM 07-01 Ladies’ combines the architectural complexity of a 200-part metal bracelet with the elegance of a technical material. 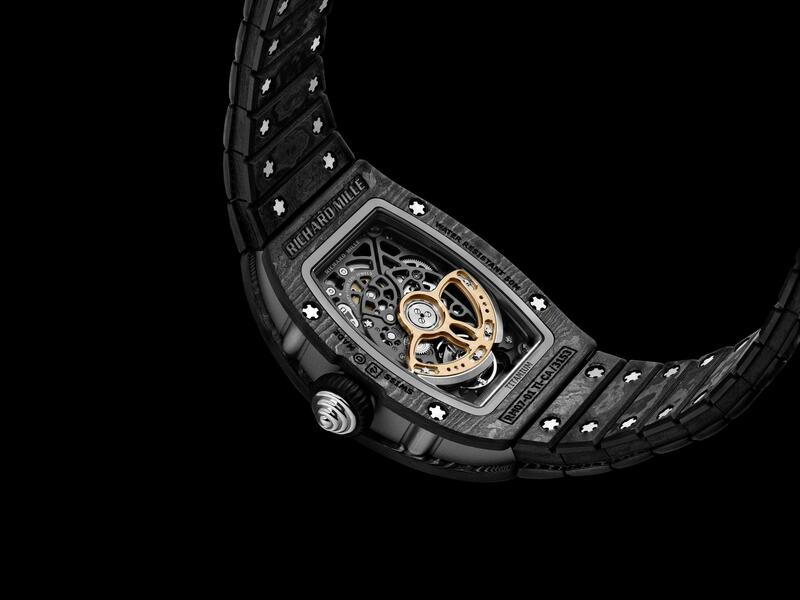 The bracelet is formed of dozens of Carbon TPT® plates placed on a grade 5 titanium skeleton by means of 44 of Richard Mille’s characteristic spline screws. 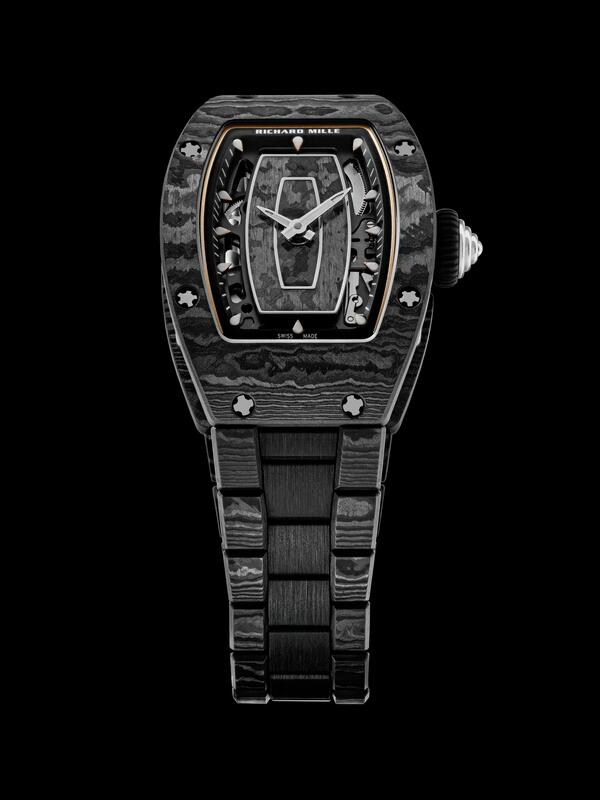 This micromechanical gem combines suppleness and extreme rigidity to astounding effect, while extending the tonneau shape all around the wrist. The combination of these materials gives a total bracelet weight of just 29 grams. Available from April and specially designed for the RM 07-01 Ladies’ in Carbon TPT®, this is an extremely coherent addition to the sophisticated and technical products that the brand strives to produce.